People are sometimes surprised to learn that ocean water can freeze (but think about it: we’re worried about the melting polar ice cap). Two winters out of the last four, we’ve been able to skate on Mahone Bay after a really cold snap. 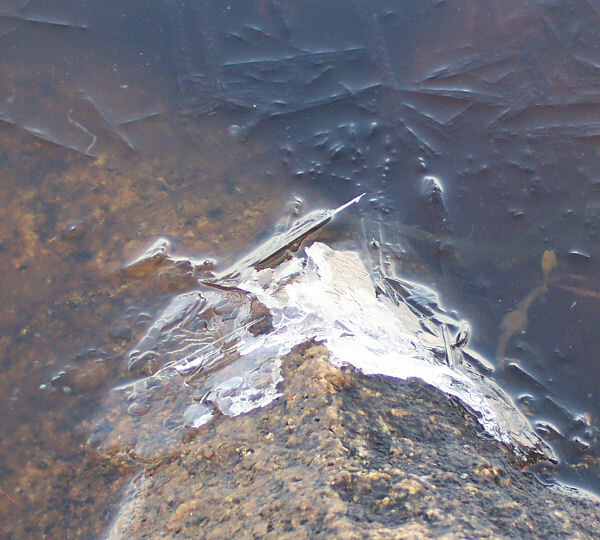 Salt water freezes at a lower temperature than fresh water, and the saltier it is, the colder it has to be to freeze. I’ve found that it has a softer quality than freshwater ice, perhaps because of the impurities it would contain. But I’m sure it’s just as unforgiving if you crack your head on it! I’ve always found crystals fascinating. In my days as a lab chemist I enjoyed doing crystallization, which is done in the lab as a means of purifying a substance. That’s because a crystal is formed when the molecules of a substance lock together in a close pattern. There isn’t much room for anything else in there, between the molecules. Separate the crystals from the rest, and you’ve got a pretty pure product. This morning there were water crystals forming in quiet corners of the bay. They are supposed to contain very little salt. (Next time I’ll try tasting some!) When salt water freezes on the surface, the ice is relatively fresh (i.e. not salty). Polar bears are observed (not in Nova Scotia!) drinking from puddles on ice floes. 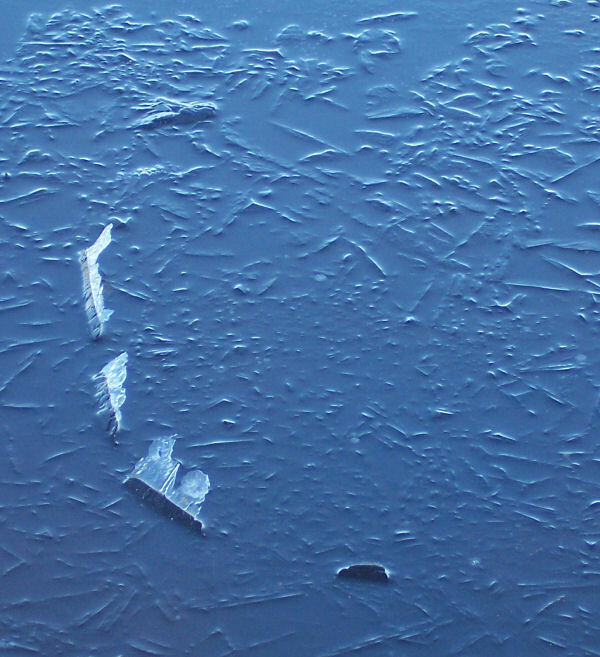 Meanwhile, the water beneath the ice gets saltier – and denser, sinking – which makes it even less likely to freeze. 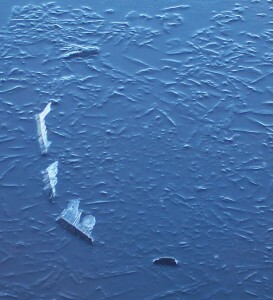 Of course, these ice crystals I saw this morning melted during the day. 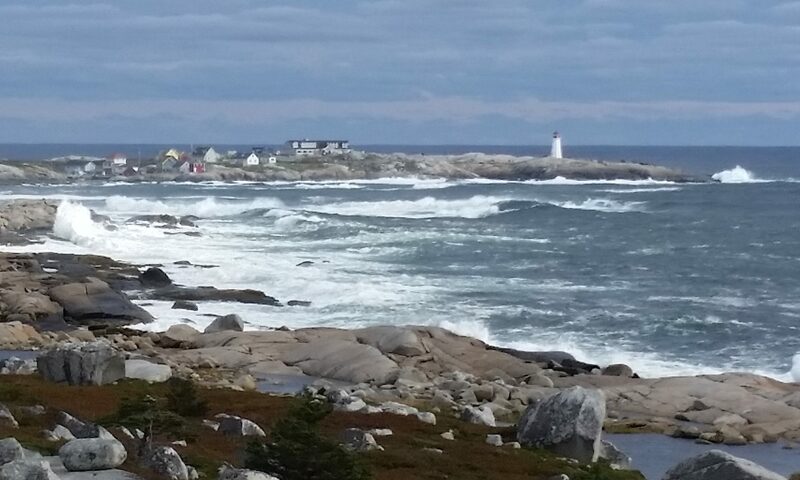 Watching the changes in the ice on the bay is one of the joys of living in Nova Scotia in winter. If you want to read more about the science of seawater freezing, see the Water Encyclopedia.